After completing his postdoctoral training in 1987, Dr. Butler returned to the Wilford Hall USAF Medical Center in San Antonio where he became both the chief of radiation oncology and the chief of brachytherapy. He also joined the faculty at The University of Texas Health Science Center at San Antonio as a clinical assistant professor that same year. Dr. Butler would later join Baylor College of Medicine where he eventually became a full professor and chief of radiation oncology for both the medical school and the VA Hospital. In 1991, he became the medical director of radiation oncology at what was then The Methodist Hospital, and received his faculty appointment at the Weill Medical School in 2006. 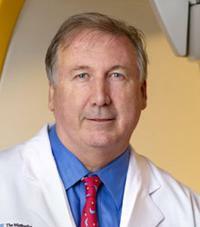 In 2008, Dr. Butler became the chairman of radiation oncology at Houston Methodist. In 2016, he was appointed to the Jim and Joan Harrell Chair in Radiation Oncology endowed position. Dr. Butler's research centers on preclinical and clinical studies that combine radiation therapy and gene therapy for the treatment of prostate cancer. In recent years, he has extended these successful studies to other cancers, notably pancreatic cancer. His research interests also include three-dimensional reconstruction of body organs to assist in better localization of radiation therapy.